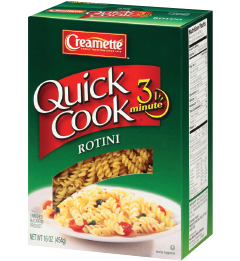 Creamette® Quick Cook® Rotini is one of the most versatile of all pasta shapes, you can use it in entrées, side dishes and cold salads. 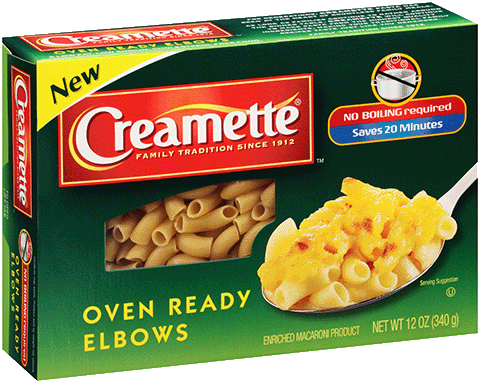 Creamette® Quick Cook® Rotini can be paired with almost any favorite pasta sauce. Tip: Cook 1 box of Creamette® Quick Cook® Rotini and add your favorite pasta sauce with ground meat and top with Parmesan for an easy meal.